Do you have a Doctor Who fan who hates Math in your house? Why not try these free Doctor Who inspired Math printable worksheets I have put together for you? Adding a Whovian twist to your Math may just the motivation your child needs to accomplish their work. Be honest, who wouldn’t want to help The Doctor solve a problem? 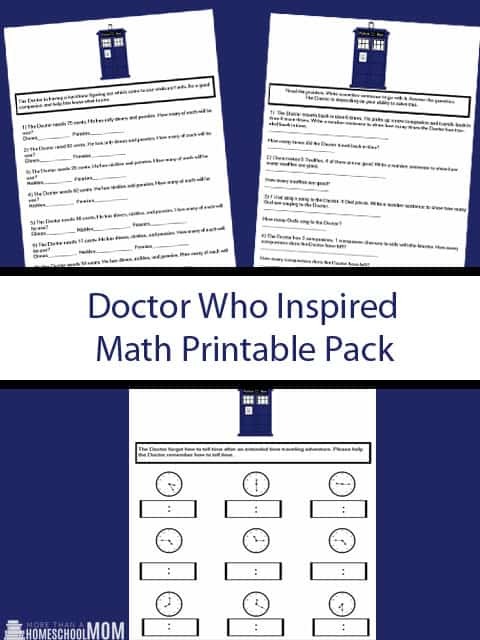 What if I told you I put together a Doctor Who Math printable inspired by the show? We are a Whovian family through and through. When my kids were smaller we used these simple Doctor Who handwriting printable to work on handwriting skills. These are best laminated and used repeatedly. After all, who doesn’t want to help the Doctor get to his fez? My daughter was also learning about space so you will see a fun printable for knowing the difference between a comet and an asteroid. As always, all of my Doctor Who printables are completely free. I would never take from the Whovian universe. I am simply trying to help little Whovians learn. 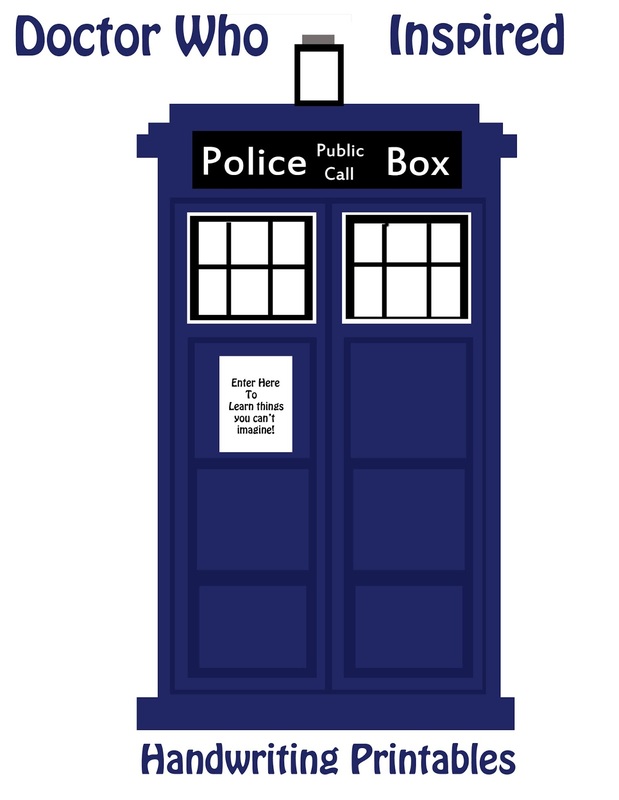 Free Doctor Who Themed Educational Printables! Are you looking for printables for kids? What if I told you I have a huge collection of Doctor Who Educational Printables for you? Whether you are looking for Math worksheets, handwriting pages, or lunchbox notes you are sure to find them here. I am a huge fan of all things Doctor Who and I know that sometimes having a fandom based educational option makes learning easier. If you have a friend who loves Doctor Who make sure share these with them. Free Doctor Who Educational Printables! Are you working on creative writing? Have some fun with these creative writing prompts and ideas. There’s also a great set of reading logs and bookmarks you can print and laminate. These are a lot of fun for Summer Reading. Math is our nemesis in the house. I’m pretty sure my daughter thinks The Master is responsible for it. That said, we like to add a little Whovian fun to our Math lessons with some of these printables. I highly recommend laminating any of the flash cards so they will last longer for you. Sometimes we have to have a little fun. Whether you are enjoying a set of lunch box notes or having fun creating your own Doctor Who comic you are sure to love these. This was my first ever Doctor Who inspired printable so it isn’t as nice as some of the others. If you have a younger Whovian they may still enjoy it though. Check it out and if it’s not for you there are some great ones above this one to use. Don’t miss out on some of these awesome Doctor Who products! They would be so fun.